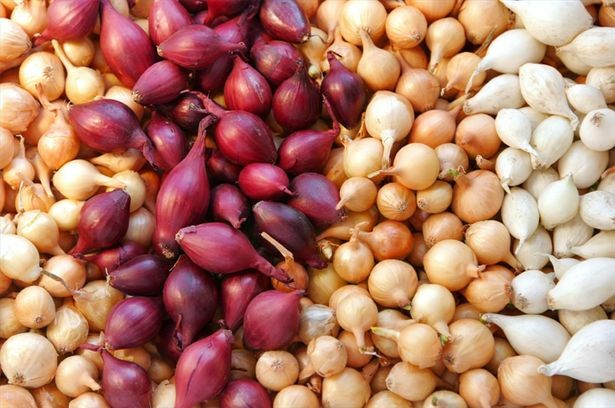 Onions: The little bulbous things that pack a punch and make all the difference in your food. You'd actually be amazed at what these things can do for flavor. But do you know which ones to use in the right situations? Cos we don't. Picking the right onion is more important than most people think. Just grabbing the nearest thing to you in the grocery store is a big mistake, and can affect the taste and quality of the food you’re making. Especially if the dish you’re cooking isn’t particularly onion heavy (not many dishes are), the taste impact of using the wrong onion can be subtle and hard to identify. You know what you’ve made doesn’t taste quite right, but you just can’t put your finger on why! Remember: the best use of the onion is to accentuate the other flavors in the dish. Using the wrong kind of onion is similar to using Swiss cheese when you should have used cheddar, or serving a Riesling when you should have served a Pinot Noir. For example, red onions are best taken raw on salads and sandwiches, green onions (scallions) are best in soups, pastas, and Mexican food, and yellow onions are great for salsas and strong-flavored dishes. There is so much to onions than we know, and the more we know about onions, the better our meals will be. The better our meals are, the happier people we will be. Then hopefully, we will achieve world peace. And then everybody will be creepishly happy! But the reality is that we discovered this onionic gem of information at lunch time, and our stomach acids are waging war right now. Bring on Burger King onion rings.